Can you please help me to find out what do I do wrong? 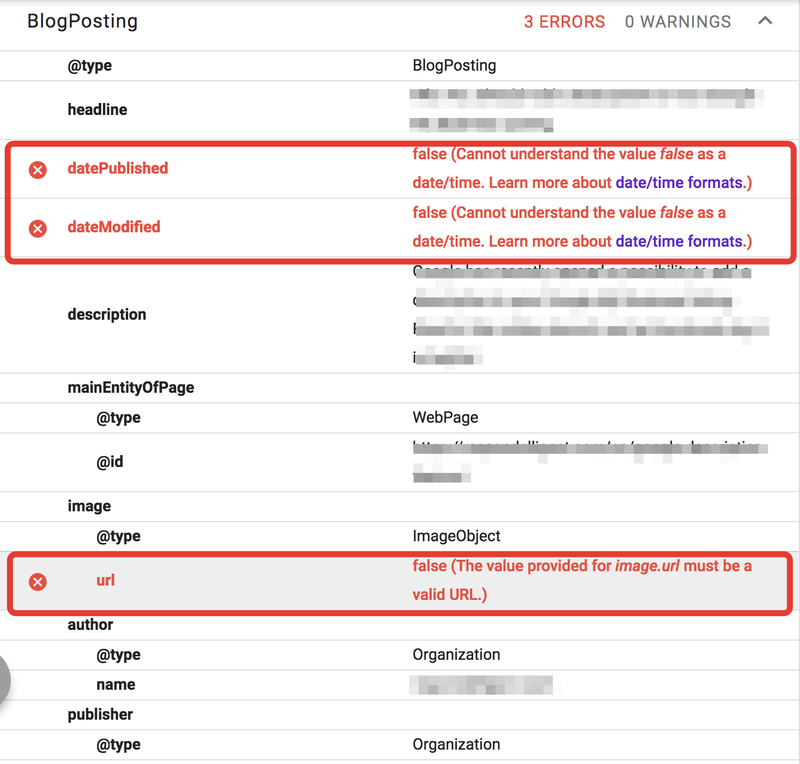 It looks like your meta tags don't exist or are not properly populated in your blog post pages. 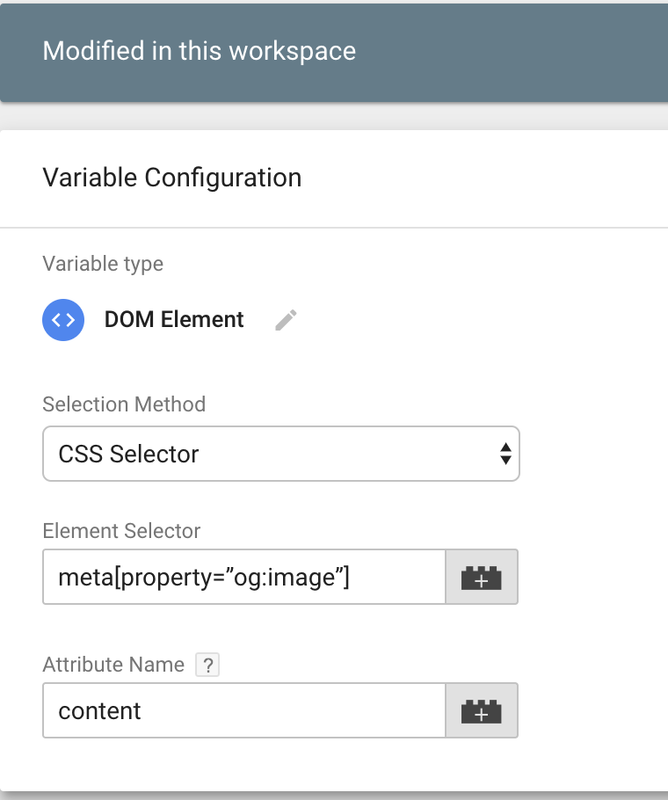 Please check and confirm if they are there in the first place so that Google Tag Manager can then extract the values correctly. Not the answer you're looking for? Browse other questions tagged schema.org structured-data json-ld google-tag-manager or ask your own question. 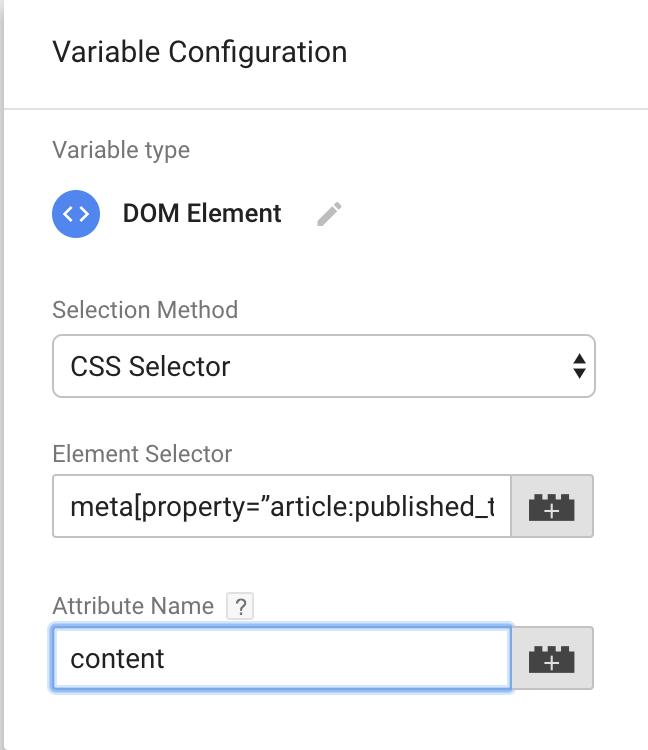 How to add AggregateRating in GTM using DOM element Variables?